After a decade of gains for the gold, the precious metal is setting up for its second consecutive negative year. The SPDR Gold ETF (NYSE: GLD) is down 26 percent year to date and yesterday traded at the lowest level since July. While the losses for GLD look bad considering the gains in equities, the gold mining stocks are taking an even bigger beating. The Market Vectors Gold Miners ETF (NYSE: GDX) is hitting a new five-year low and is now down 53 percent in 2013. The looming question evolves around where the bottom is for the mining stocks. The sector has been attempting to cut costs as the price of gold has fallen to levels that are troubling for the miners. 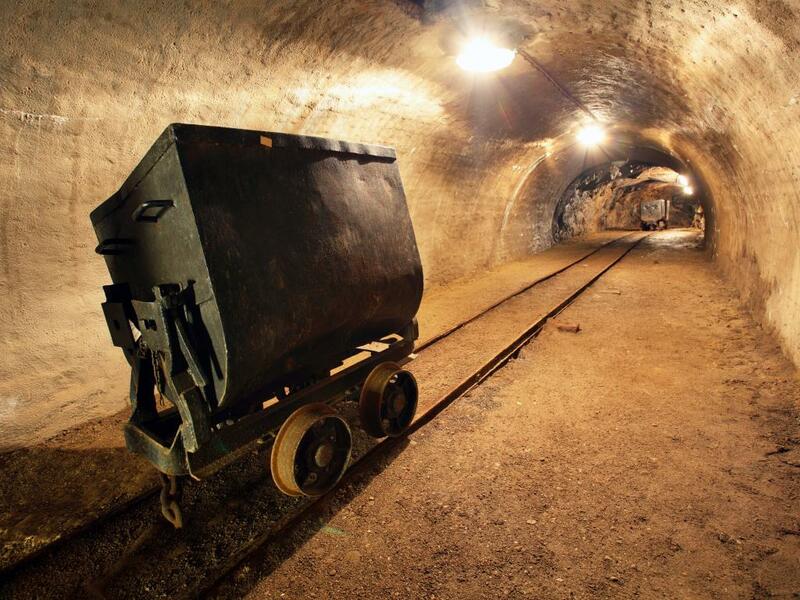 According to Goldman Sachs, most miners can deal with $1,300/ounce gold prices, but any further drops would lead to mine closures and other means of cutting costs. 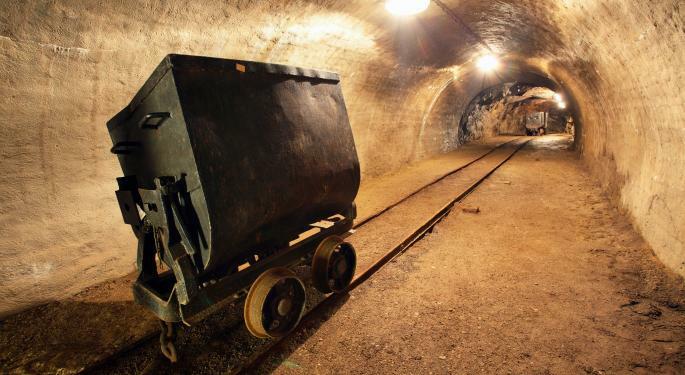 With gold currently trading near $1,245/ounce it is putting pressure on the miners to either make drastic cost cutting measures or lose money on some of their mines. The smaller gold mining companies, referred to as the juniors, are in an even more precarious situation. The Market Vectors Junior Gold Miners ETF (NYSE: GDXJ) is down 60 percent this year and trading at a new low. There are a few ETFs that move in the inverse direction of the gold miners and they have been big winners the last few months. The most heavily traded of the group is the Direxion Daily Gold Miners Bear 3x ETN (NYSE: DUST). The ETN will move three times the inverse of the underlying index on a daily basis. In the last month the ETN is up 69 percent. For the year DUST has a gain of 186 percent. A new ETN in the mix is the Direxion Daily Junior Gold Miners Bear 3x ETN (NYSE: JDST). In the last month the ETN is up 105 percent and is trading at a new high. The unfortunately problem with the two inverse ETNs is that they are highly leveraged (three times) products. Due to its daily reset and the high leverage they make for extremely aggressive investment vehicles and they are not appropriate for most investors. Short-term, educated traders should only use the ETNs because as quickly as they go up, then can fall just as fast and the losses can become significant. In an ideal world there would be a vehicle that would offer an inverse option for the gold miners that did not involve leverage. There is no such product available at this time for traders. Therefore, the best strategy is to stay far away from the gold miners until the free fall is over and the landscape has changed for the sector.